Koga"- Little Kyoto" SUBPAGE | All Japan Kyoto Association"
Located just in the center of the Kanto region and on the western end of Ibaraki Prefecture, Koga City is a city which is blessed with the natural environment of both the Tone and Watarase Rivers along with a long history of full of local tradition. The city still retains its atmosphere from the old times when it flourished as a lodging town and many old temples and shrines can be found. On the west side of Koga Station, many historical and cultural spots are scattered about such as Koga History Museum and Tenkoku Museum. In the Hanamomo-no Sato Park and Koga Kubo Park (Koga Sogo Park), 1500 peach trees made up of 5 different varieties bloom all together in spring and welcome visitors. Located almost at the center of the vast Kanto region, Koga developed as a castle town since the Muromachi period. 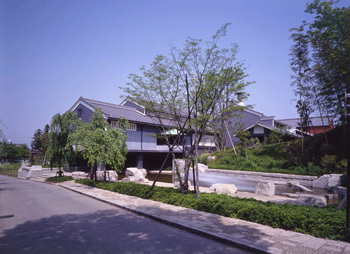 Koga History Museum was opened on the former site of Koga Castle in 1990. Not only the exhibitions but the excellence of the architecture itself (designed by Keiji Yoshida) is worth seeing, attested to by having received the Architectural Institute of Japan Award in 1992 and Public Architecture Award in 1996. The permanent exhibition displays valuable historical materials and records about Western studies from the Edo period collected by the chief retainer of Koga Province, Senseki Takami. Another section introduces the “History of Koga” covering from the primitive times to modern times and “Literati of Koga” which introduces calligraphy and art works by Kagai Oyama, Kyosai Kawanabe, Seiko Okuhara and others who were great calligraphers from the end of the Edo to Meiji period. In the main hall, there is a Dutch street organ which entertain visitors with Western tunes. The first museum in Ibaraki Prefecture, opened in 1998, featuring literature related to Koga built in the Western building from the Taisho period. Literary works and materials related to authors and novelists who had relations to Koga are exhibited: Michiko Nagai (historical novels), Kyuzo Kobayashi (mystery novels), Shuichi Sae (historical and contemporary novels), Tetsuzo Tsuburai (poet), Eiichi Kasuya (poet), Toshio Yamamoto (poet), Nana Oki (poet), Etsuko Isshiki (childrens literature), Takuya Kaneda (childrens literature) and more. Original pictures of Japan’s representative picture magazine for children, “Kodomo-no Kuni,” and many other important materials about literature are on display. There is also a common space for the public where musical events and story reading gatherings are held. A great venue where people can get together and enjoy a variety of cultural and artistic information and events. This is the first museum in Japan featuring the tenkoku (stone carving seal) art, opened in spring, 1991. A large 3-story store house constructed of stones in the old castle town was renovated and transformed into a museum. Tenkoku is a part of calligraphy art that is said to have originated in China about 700 years ago. Artists choose a Chinese character from a famous piece of Chinese literature or poems and carve the character on a tiny surface of soft stone in an ancient letter form. It is used as a name seal stamped on calligraphy and art works. Some of the works by Shika Ikui, a famous tenkoku artist from Koga, are exhibited as well as those by other Japanese tenkoku artists. The building is registered as a National Cultural Property. Michiko Nagai was an honorary citizen of Koga City who was a great novelist and won the Naoki Literature Award. 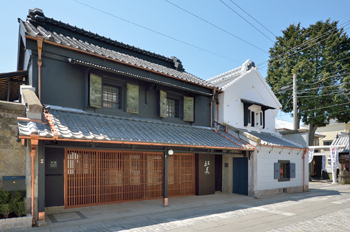 The house where Nagai spent her formative years (for about 20 years) was restored and is now open to the public. 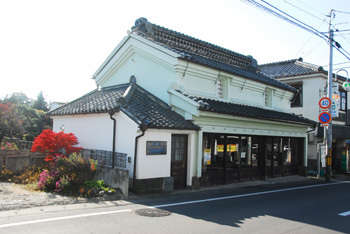 The two-story house and an old storage house built in the late Edo period shows visitors life in those days along with photos and Nagai’s chronology. 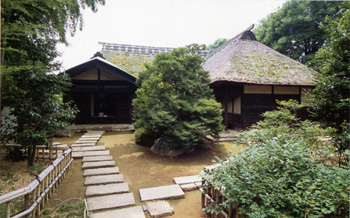 The house of Senseki Takami, which had been built using left-over materials from Koga Castle, was renovated and opened as a museum. This is where Takami ardently focused on his studies and garnered a number of academic achievements such as “The Map of Holland”. Many government officials visited Senseki to learn from him about life and culture abroad. There is a rare kind maple tree in the garden, hence, the house was called “The Place of Maple.” There is a tea shop in the main building where visitors can enjoy a nice cup of tea in the serene Japanese garden. Next to the Senseki Takami Memorial Museum is a studio which belonged to Seiko Okuhara, a female painter from the Meiji period who specialized in Chinese-influenced paintings. 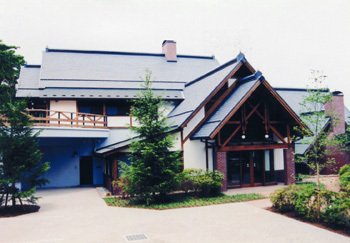 The studio is also known as Shusuiso-do Hall. Okuhara was born into the Ikeda Family, a samurai family belonging to Koga. She established her career in Edo (present-day Tokyo). Her descendant, the late-Michiko Okuhara, generously donated the building and it was initially relocated to the south side of the History Museum. Later, some sections of the building were moved again to the present location in 1929. Some stones used in the garden are originally from Koga Castle ruins. This park is the first park in Japan which received the International Melina Mercouri Award presented by UNESCO. Seasonal flowers and plants adorn the vast park site. Five different peach trees bloom in spring and welcome visitors who will feel as if they have entered a Utopia. Early summer is the time for wisteria, irises and hydrangeas. A botanist, Ichiro Oga, discovered an ancient lotus seed and succeed in making it sprout. The superb beauty of ancient lotus now entrances visitors. 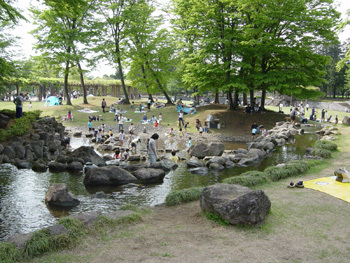 The park is located almost in the center of the Kanto region, thus, it was named “Navel” Park. Visitors can enjoy the fullness of nature along with animals at the pony farm, a fishing pond, athletic equipment, an underground maze, playing equipment and more. Log cabins are also available so an overnight stay is also recommended. Touch, feel and learn about nature among refreshing green with your family. 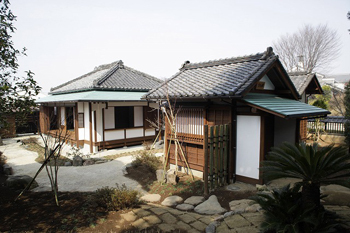 An old merchant house built in the early Edo period was restored with traditional carpentry skills. There are five old storage houses, each built at different times of history from the Edo to Taisho periods. 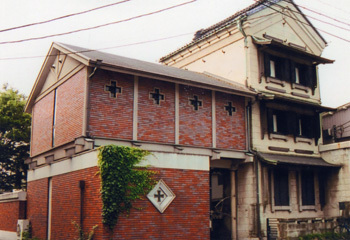 With a massive main residential building, it is a typical example of a classical merchant house in Koga. In April 2014, it was fully renovated and was reborn as a recreation spot for local people and tourists; there is a café, shop, mini-gallery and community hall. 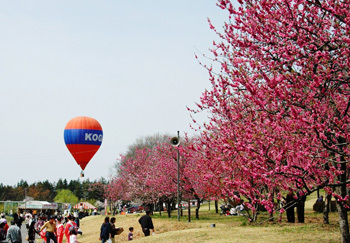 The Peach Festival is a representative spring festival of Koga started in 1977. 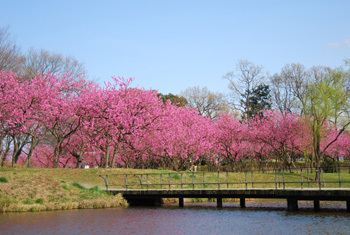 There are not many parks where such a number of peach trees grow today and a large crowd of visitors come to appreciate the pretty peach blossoms every year. Outdoor tea ceremony, stalls selling local specialties, and many other events will be held. 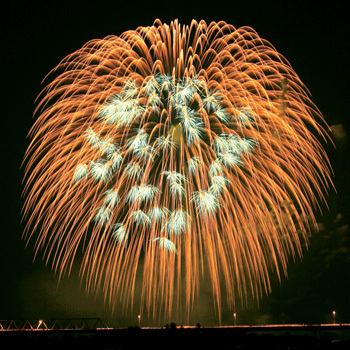 The Koga Firework Festival is the most popular summer event in Koga. The spectacular entertainment includes some rare kinds of large-scale fireworks. 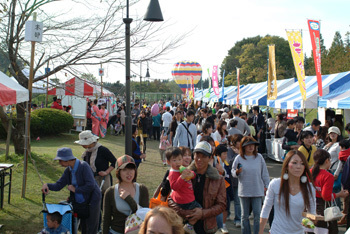 A big festival for people of all ages in the middle of the Kanto region (“Do-Mannaka” means the center). Local folk music and dance, samba, a parade of mikoshi portable shrines and floats, traditional performing arts, and a number of fun and festive events will be held. More than 100 stores in the city join the festival. About 1200 beautiful chrysanthemum in a variety of styles will be displayed in the park. Some requires special skills to maintain and thus display an unusual appearance. 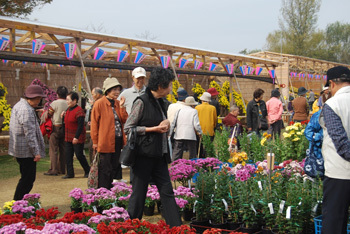 A number of chrysanthemum fans from around Japan come to enjoy the flowers. Seedlings of chrysanthemums are available in the park, too. The Sansan Festival was started to promote Koga’s local and traditional agriculture and other industries. 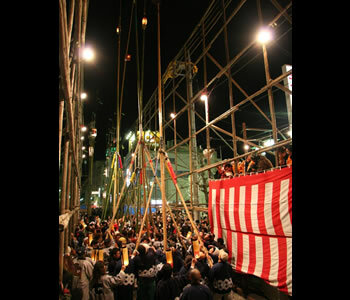 A number of stalls are set up as well as traditional performing arts, such as the parade of festival music, mikoshi portable shrines and decorative floats, to entertain visitors. Members of the Youth Association of the Koga Chamber of Commerce and Industry organize this fun festival hoping to promote and publicize the agriculture and industry of Koga. More than 100 places in the city join in and sell local products as well as shops selling items from Koga’s sister cities. 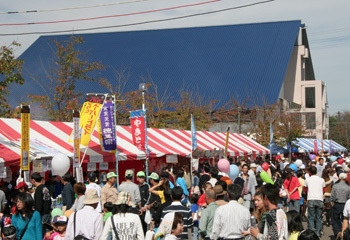 Many fun events entertain visitors (anime character show, hula dance, etc.) for two days. 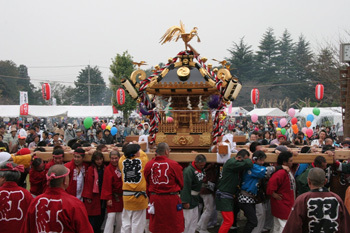 This festival is considered one of the most unusual festivals in the Kanto region. Over 20 groups of 30 people each carry a huge bamboo pole together with a fire burning on one end of the pole. They try to extinguish the other groups’ fire using the pole on a special balcony (10 meters high and 80 meters long). This is such an energetic festival to watch. 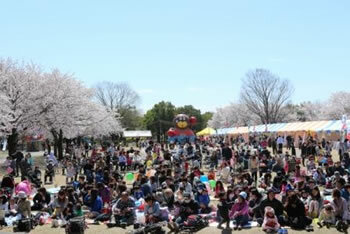 When cherry blossoms reach their height, Navel Park becomes festive with a number of stores and events. On Saturdays and Sunday during the event period, character shows and dance shows will be staged. 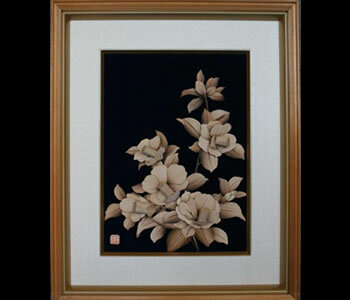 Special bamboo artwork is made with the soft inside stem of wild bamboo growing in Koga. Utilizing its shiny beauty and flexibility, little pieces of bamboo are pasted together to complete a picture. No other examples of such a kind of art exists in Japan. By burning the surface for finishing, the picture becomes three-dimensional and appears even more beautiful. Koga used to be a main Japanese paper umbrella production area after the war, and later started to produce Western style umbrellas. 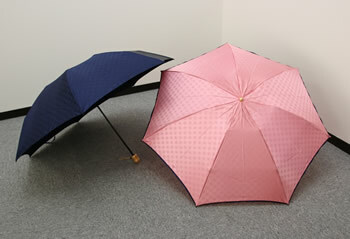 Beautiful snowflake patterns on the umbrella will please users on a rainy day. 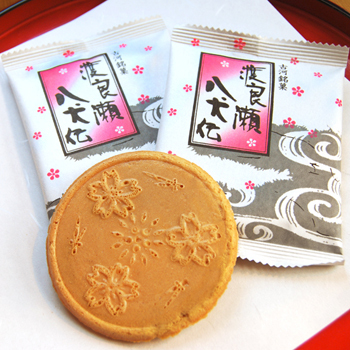 A small bite-size fried sweet cracker whose appearance is inspired by peach blossoms, the symbolic flower of Koga. 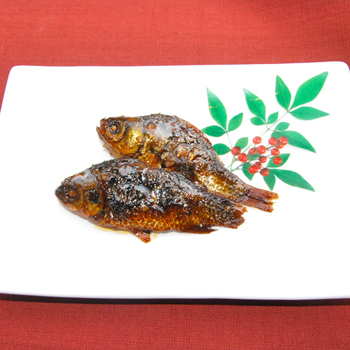 Japanese carp (funa) are cooked carefully. This is a traditional taste of Koga which is very nutritious. 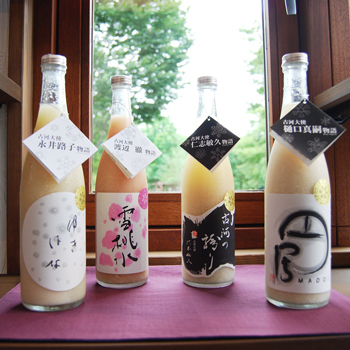 Four famous people who are from Koga named this local Doburoku (unfiltered cloudy sake). They use organic rice grown on their own farm and the entire brewing process is carried out by hand. 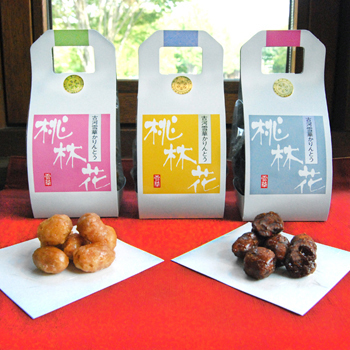 Simple and tasty Doburoku presents the true natural taste of rice. Pretty milk flavor sweets with a design inspired by the white heron on the Watarase River. 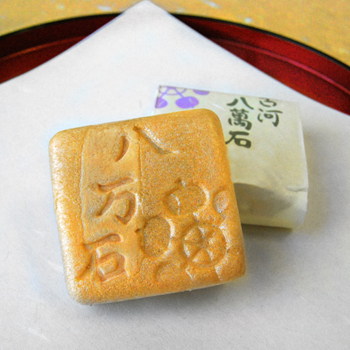 Thick rice crackers with cream inside; inspired from a famous old novel, Nanso Satomi Hakken-den. 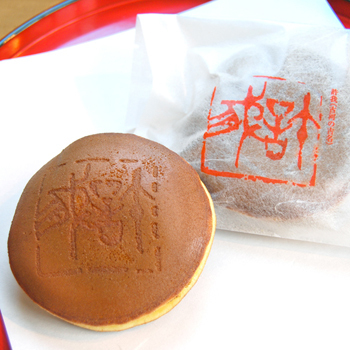 Small sweet pancakes are baked one by one by hand and tasty sweet red bean jam is added as a filling. 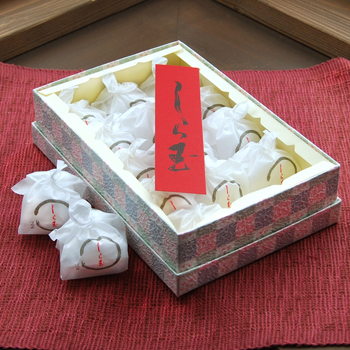 A mark representing the name of this sweet, Koga, is branded on the top designed by the stone carving master, Shika Ikui. Red beans, soy beans and barley are carefully roasted producing a fine powder. 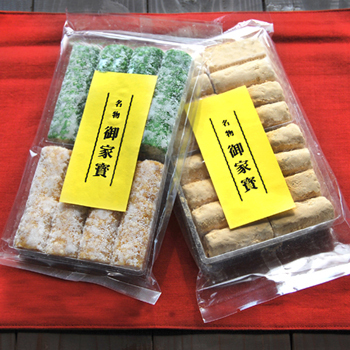 By adding the finest Wasanbon Japanese sugar, delicate sugar candy in beautiful forms are achieved. It melts in the mouth and is good for the health, too. 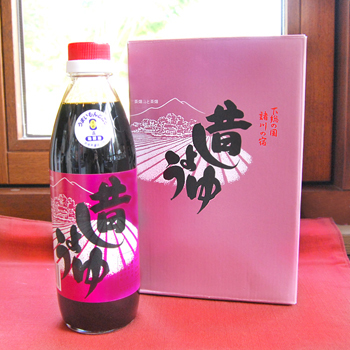 Rich soy sauce produced using traditional methods since the Edo period. The storage area and wooden barrels have been used for over 170 years and it takes over three years to for the soy sauce to ferment. 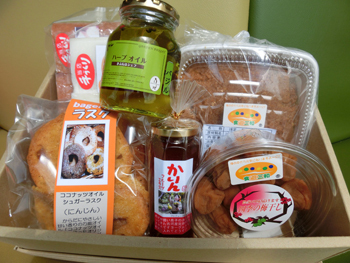 A set of 100% handmade and food additive-free items cooked by local housewives in Koga. 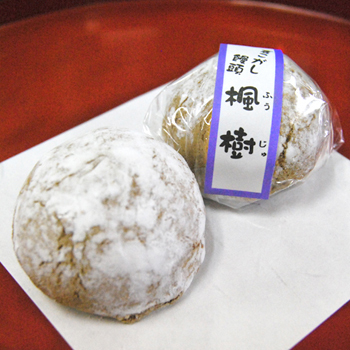 The Master of Koga Castle named this sweet and it became a signature sweet loved by samurai lords and travelers. The simple flavor of soy bean powder and its crispy texture make a perfect match. 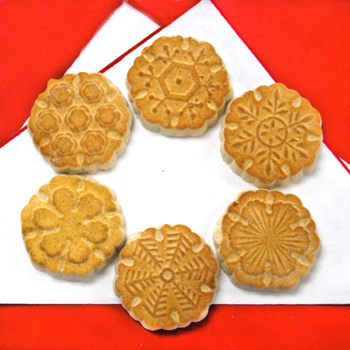 The shape of this sweet represents the family crest of the Doi Family who served as the masters of Koga province for 12 generations. Inside is filled with tasty red bean jam. Awarded the Gold Award in the 20th Japan Confectionery Contest. 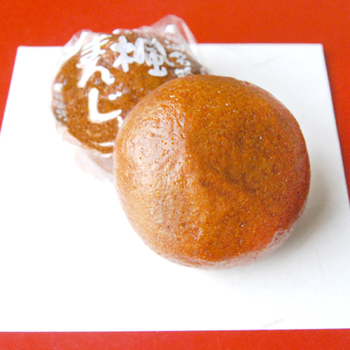 A sweet dumpling in which silky white bean paste is covered with a thin dough. “Fuju” means a maple tree in Japanese and this sweet was named from a rare maple tree growing in the residence of Senseki Takami. A sweet dumpling using brown sugar. “Kaede” is a maple tree in Japanese and this sweetd was named from a rare maple tree growing in the residence of Senseki Takami. 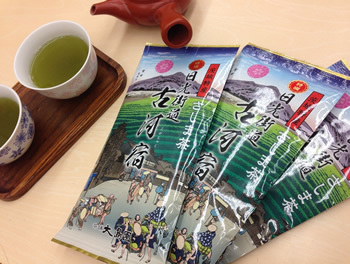 Sashima tea is a local green tea grown in Koga. The brand name, “Nikko Kaidojuku (Lodging on the Nikko Highway)” is a reminder of the city’s history. 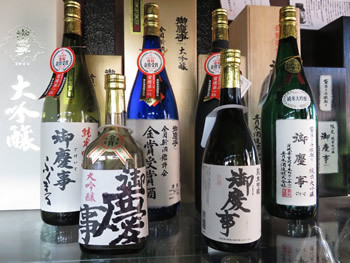 Using rice harvested in Ibaraki Prefecture, Gokeiji is the only locally brewed sake in Koga City. Enjoy the fragrant aroma and taste of sake from Koga. 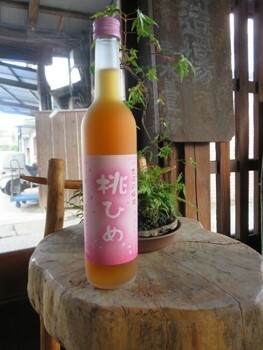 Received the Gold Award in the Japan New Sake Competition.